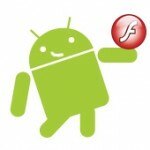 Kongregate Mobile flash game contest: $30 000 in prizes, end 23th august 2010. Flash Game Licence: Cell your Flash game contest, $30 000 in prizes, end 5th october 2010. Mochiads: Made for mobile contest, $20 000 in prizes, end 24th october 2010. There is no rules against posting games to other contests. So I will try to adapt and optimize Roll and Jump and Nano War for Android devices. Thank you Adobe and Google. Good luck all!